The latest addition to flavours range from Absolut, Cherrys vodka offers The taste of sun-ripe red cherry character, that blends well with mixed in fruity cocktails, or mixed with soft drink to create cherry cola flavours! 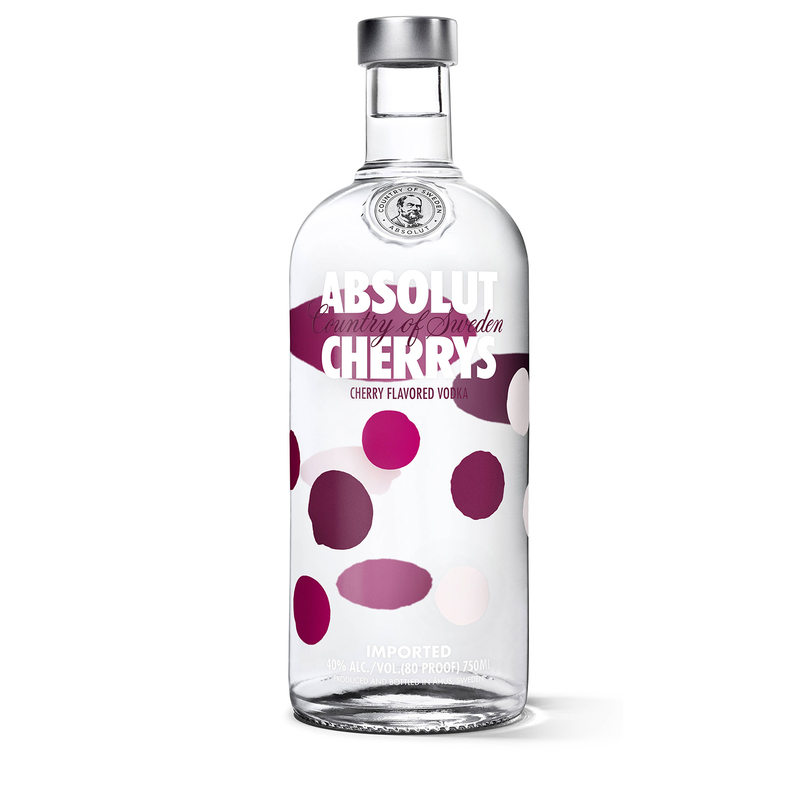 The main ingredients in Absolut cherry's are Absolut vodka and sun-ripe cherries, fresh white cranberry and sweet plum. Absolut vodka is made from water and winter wheat. The water comes from a deep well in Ahus where it's protected from impurities. The winter wheat is also grown in Ahus and differs from other crops: it's sown one fall and harvested the next one. Days in between it grows under the Swedish snow developing its hard grain. Also the use of fertilizers is minimized. Of course the sun-ripe cherries, fresh white cranberry and sweet plum are as natural as the rest of the ingredients.